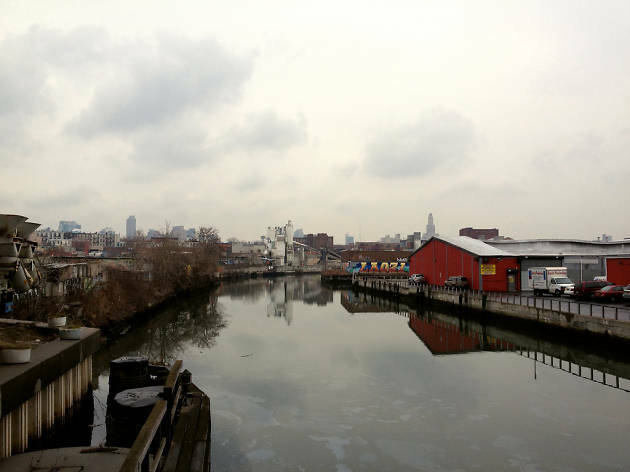 The Gowanus Canal is one of the most polluted bodies of water in the entire country. 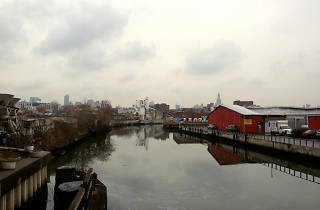 The 1.8 miles of the Brooklyn waterway were classified as a Superfund site by the Environmental Protection Agency in 2010, and since then local groups and authorities have worked to clean it up. The bed of the canal is lined with 10 feet of toxic sludge, which has been described as Black Mayonnaise. The gooey grossness is the product of decades of industrial companies, particularly gas producers, dumping waste into the waterway. Later this month, the EPA will take a major step in its years-long campaign to clean the stuff out, according to the project's Community Involvement Coordinator Natalie Loney. The next step in converting the canal from a wasteland into, you know, a relatively clean waterway is to dredge the sludge from the 4th Street Turning Basin. There is no set date on when work will start, but Loney said that crews will begin mobilizing later this month. Last fall, the EPA completed a pilot project to remove the slew of pollutants and debris from the canal, which included two wrecked boats and a tree. That project helped crews to determine best practices for cleaning up the canal, which will be used in the latest cleanup push. Work on the site is expected to be completed in 2022 but could very well go beyond that. Brooklynites have been pushing for a solution to the mess for decades, and the upcoming work ought to be a relief for anyone who passes by the nasty waterway on a regular basis.